Kitesurfing is now one of the most popular sports in the world and attracts fans from every corner. Paros Island in Greece has become one of the most well-known spots in the country for its kitesurfing and windsurfing and is steadily building its reputation on the world stage too. 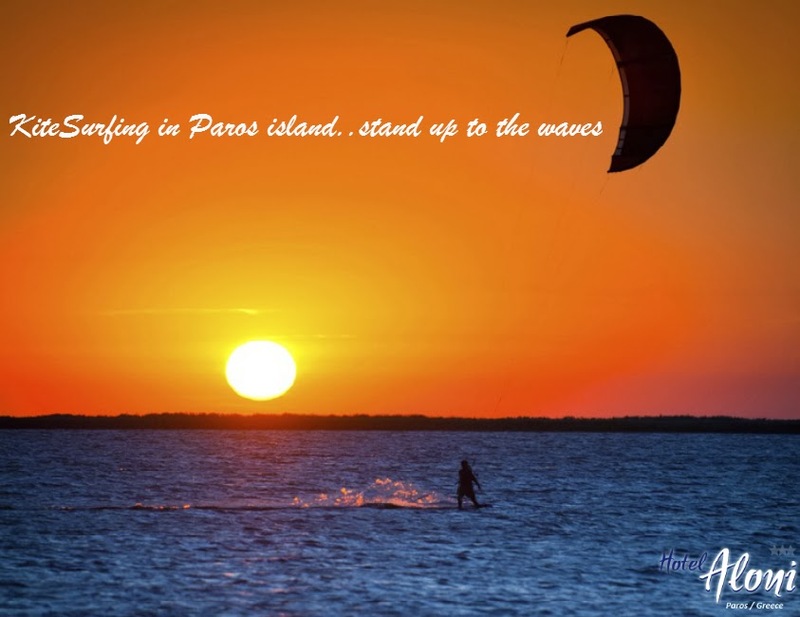 Paros offers ideal windy conditions especially in the summer, when the seasonal Meltemi Wind (a strong, dry wind of the Cyclades islands) shows up to guarantee you the perfect kitesurfing (or windsurfing) experience. Pounda Beach, thanks to the Professional Windsurfers Association is known as one of the top natural kitesurfing spots globally. The sandy beach and stretch of flat blue crystal waters make it a hugely popular choice for surfers. It would be hard to choose a better location for the World Championships which take place there almost every year and attract the star athletes of the sport. Other great beaches that seem to be made for kitesurfing include Tsoukalia Beach, thanks to its long, sandy coastline and stable northerly winds. Golden Beach (Chryssi Akti) is another famous choice, mostly for windsurfing with its southerly winds in winter. There are many local schools where you can learn to kitesurf on Paros Island. Well organized facilities and trained staff will teach you how to stand up to the waves and introduce you to the most exciting water sport in safety! Are you still thinking about it? Go and try it!